Last week, we started jumping into some holiday brews and hit up some awesome festivals, too. Now it’s almost……Thanksgiving! Hallelujah! As much as I hate the history of this holiday, man do I love the food. And the family, and the love, and everything about the holidays. 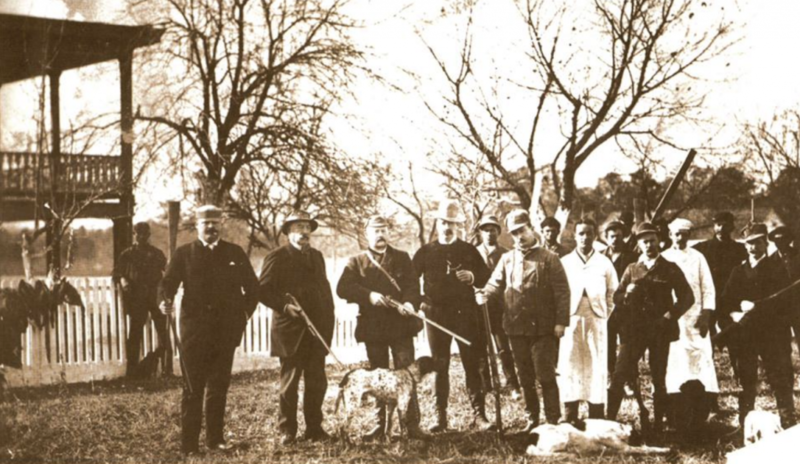 What’s your favorite yearly celebration? Thanksgiving is definitely mine. Hit up the comments on our Facebook post and tell me yours. I’d love to hear what gets you guys excited every year! Do you have any Black Friday plans? …….Do they consist of avoiding every store in town and drinking about it? Me too! Thank god for The Veil, because they get it. To cater to the anti-BF lines crowd, they’re releasing their Bourbon White Russian Hornswoggler on the special day. One: Anything that sounds like a White Russian is my favorite thing of all time. Two: I can’t wait to drink beer at home while everyone else stands out in the cold and wrestles each other at Walmart. Count me out, and The Veil, count me in! 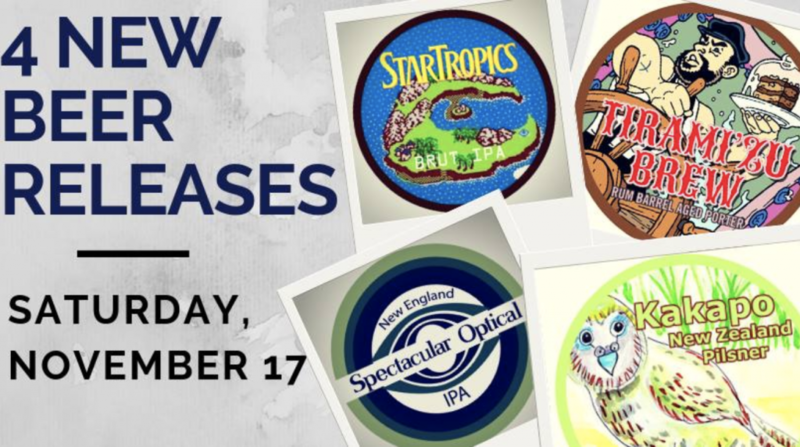 More awesome brews from The Veil on Friday come with Dark Daze, an annual fest for Black Friday with tons of awesome releases and brews on sale. Even Even More More is a 13% Double-Maple Imperial Stout (YUM!) and it’s rich, roasty, and sweet with maple flavor. There is nothing I love more than a maple beer, so I definitely want to give this one a try! Lord Whangdoodle (nice) is a unique Imperial Stout with a sappy, sticky-sugary sweetness. It’s got honey, cinnamon, vanilla, liqueur, baklava and candied-orange peel. Maple BA Whangdoodle (that word is never going to not-be funny) and Honey BA Whangdoodle are two more variations, one with layered maple flavor + chocolate character, and the other aged in honey bourbon barrels for over a year. There are a TON more awesome beers coming up at The Veil on Friday. That’s only the beginning. This sounds like a blast, and most-definitely a much better way to spend Black Friday than out in the cold! 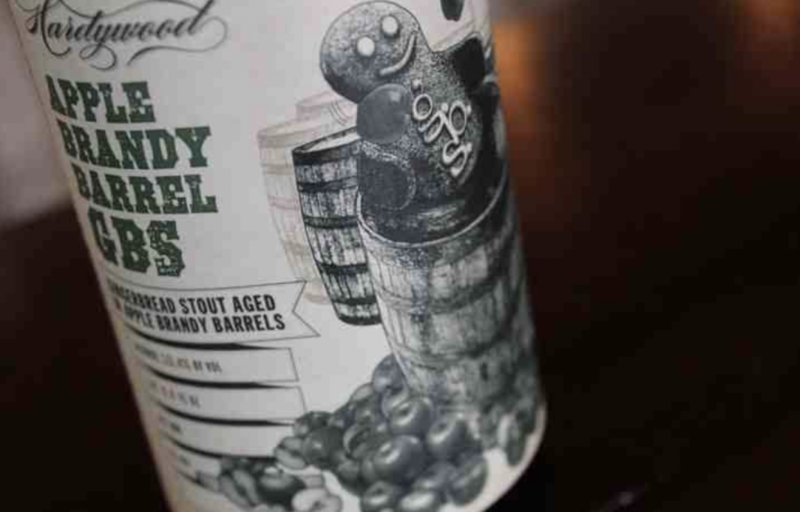 Over at Hardywood, the party continues on Saturday with their Apple Brandy Gingerbread Stout release. 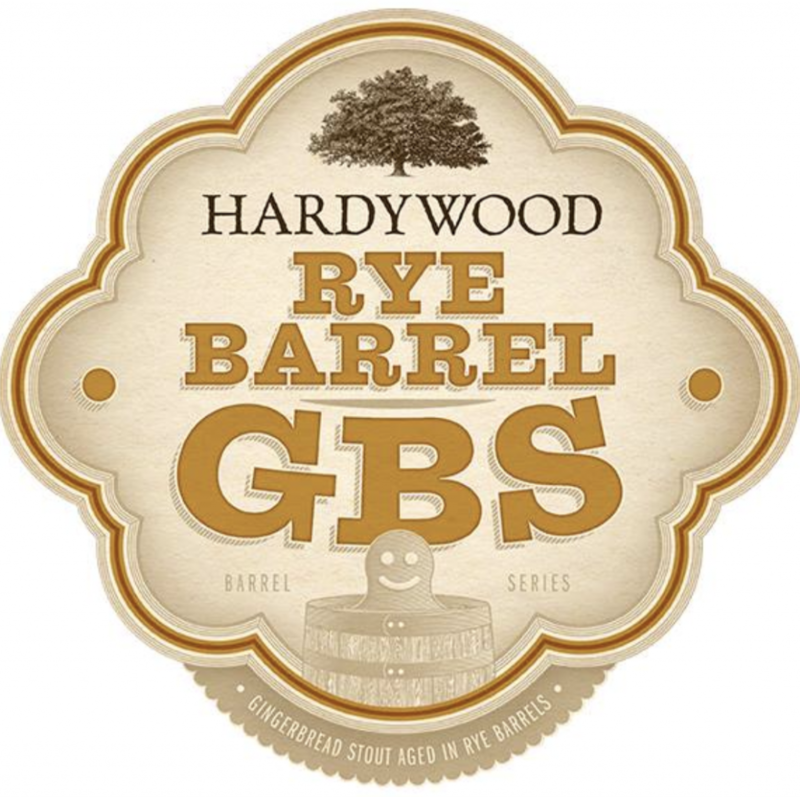 Hardywood has been releasing awesome GBS beers all month, and man, I’ve never had a Hardywood beer I didn’t like. Apple Brandy “blends in perfect harmony with the cinnamon-kissed oak staves of the apple brandy barrels,” and has notes of honey, chocolate, and fragrant cinnamon. It’s 10.4%, and it sounds delicious! If tomorrow is Thanksgiving, then Hardywood, I’m thankful for you. If you need to keep the party flowing even further past the holiday (I don’t blame you), hit up the brewery on Sunday for their post-Thanksgiving dance party with Afro-Zen. Global grooves, cold beer, and good friends — what more could you need? Ooooooooh, I! Want! This! Center of the Universe always knows how to hit me right in the tastebud feels and they even got the mean humor down this time, too. Mmmmm. This Friday, Shut Up releases and it’s all my favorite things in one — brewed to drink in front of your obnoxious family members over the holidays and give them the little reminder everyone needs: shut your pie hole, and eat some pie. There’s always plenty around at Thanksgiving. Shut Up is aged in Woodford Reserve bourbon barrels with cold brew coffee, then blended together and full of chocolate, coffee, vanilla and bourbon. I am so happy about all these winter beers, I can’t say it enough. Cold weather flavors RULE, y’all! The Veil wasn’t the only one to get their post-Thanksgiving plans in order the right way this year. Isley Brewing Company is also celebrating the dreaded Black Friday in the most-awesome of ways this year, with their release of Apple Brown Betty. Holy wow, this sounds tasty. The English nut brown ale has an addition of Blue Bee Cider fresh-pressed apple juice (drool), caramel, buttery cinnamon, and mulling spices for an All-American apple pie flavor profile. It’s a rich, dark mahogany color with a cream-tinted head, and this 6.6% beer is 100% on my to-do list. Over at Three Notch’d RVA Collab House, Masterclass is new at the brewery. It’s a Saison-infused herbal recipe with spiced notes just in time for the holidays. If you didn’t make it out to the release party in time, you can grab a crowler for your family dinner, or “watching the game at home in your stretchy pants” if you go too hard on Thanksgiving. 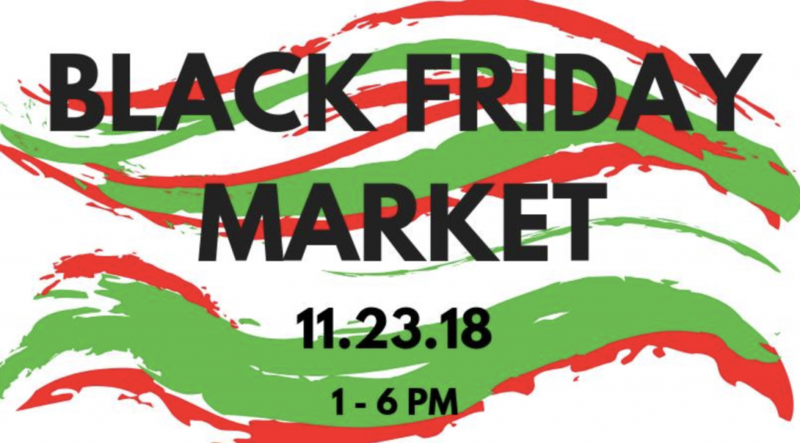 In more Black-Friday-news, Strangeways is hosting a Black Friday Local Market for all your small business needs. Shop local! Richmond really does a great job of supporting its own people, and here’s your chance to do it and drink some tasty brews at the same time. Head on over to Strangeways this Friday and get a jump on all the holiday shopping (and beat the lines!) with one of our favorite spots. Kindred Spirit is in the spirit this holiday. For Movember (men’s health awareness month), they’re kicking off some special events to recognize the men growing beards and moustaches to raise awareness. 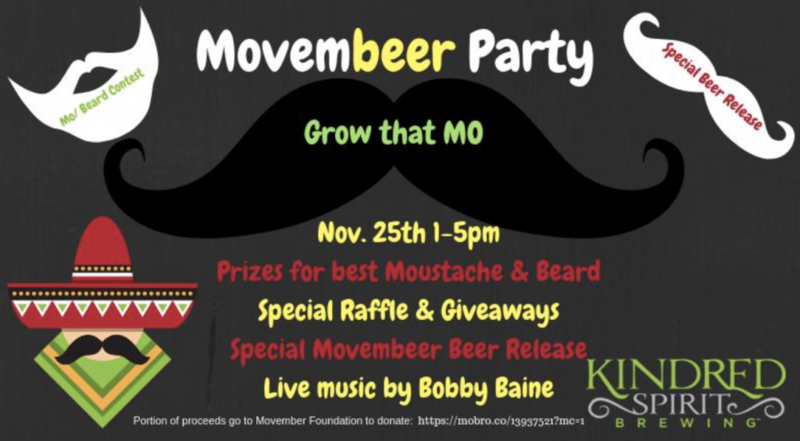 There’ll be live music by Bobby Baine, prizes, giveaways, and a special Movembeer Beer release at the party. It’s going down on Sunday after Thanksgiving, so boys and all beard-growing people, resist the family pressure from Mom to trim that beautiful facial hair this holiday, and go treat yourself with a prize for sticking it out! Last week, we saw the start of plenty of holiday brews and began ringing in the holiday season. This week we’ve got beer festivals, Richmond-filmed movies at local breweries, birthdays, and plenty of awesome new releases. 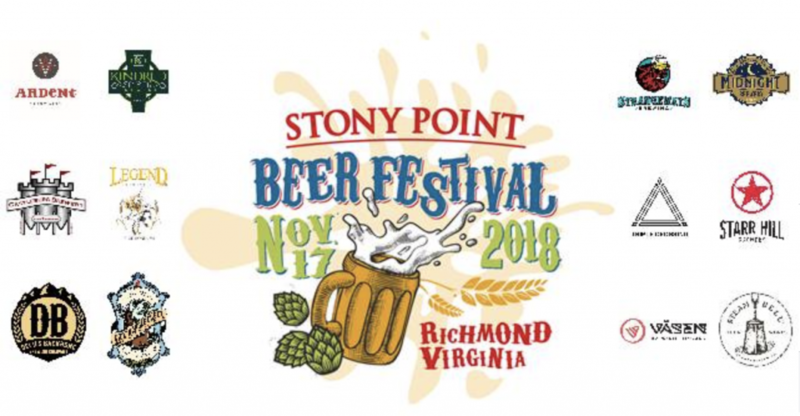 This Saturday, tons of local breweries are all coming together at once for the Stony Point Beer Festival. Tickets allow unlimited sampling(!) and have craft beers from all around the region, with most from the Richmond area and a few of my personal favorites from more rural Virginia, like Star Hill and Devil’s Backbone. Other participants include Legend, Ardent, Lickinghole Creek, Kindred Spirit, Midnight Brewery, Vasen, Castleburg, Strangeways, Steam Bell, and Intermission Beer Company. Come out for unlimited beer — an absolute dream — and to check out RVA favorites alongside Virgina’s best. Also on Must-To-Do’s in events this week is one of RVA’s favorite traditions, Richmond Beeristoric. It starts at Ardent, and this one’s better than the marathons, because it’s a marathon of beer! And history! In the East Coast’s best beer town, and one of the best history towns, what could be more fitting? 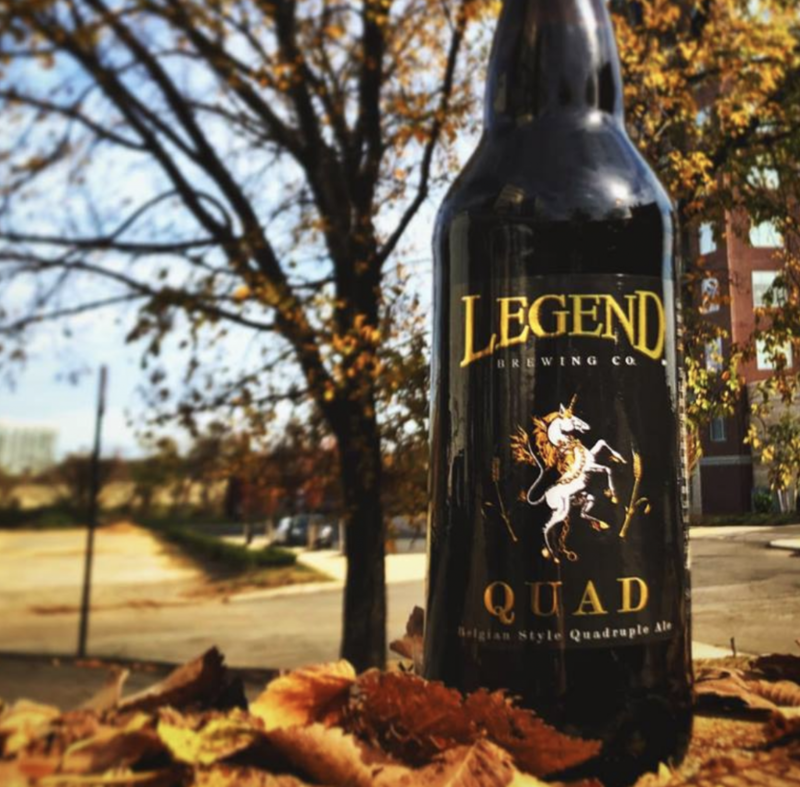 Head over to Ardent to hear from legit historians and award-winning beer (that’s right, one of the brews that put Richmond on the map with a medal at the Great American Beer Festival in Denver this year). Strangeways, Basic City, Fine Creek, Steam Bell, Final Gravity, and The Answer are all hopping in for this festival and it’ll take you on a tour around the city, through Chimborazo park (ignore the ghosts), the Yuengling beer caves, Triple Crossing, and plenty more awesome stops! The Answer Brewpub is famous! (Not that they weren’t already, but) the Broad Street brewery was the filming destination for Last Call, Richmond-based production company Aisthesis Productions’ latest hit. The feature film spans the course of a night at the bar, taking the viewer “on a psychological journey that’s both raunchy and hilarious, yet tragically sad.” If you hit up Hardywood around Halloween, you may also remember Aisthesis as the company who taught the brewery’s FX Makeup workshop. 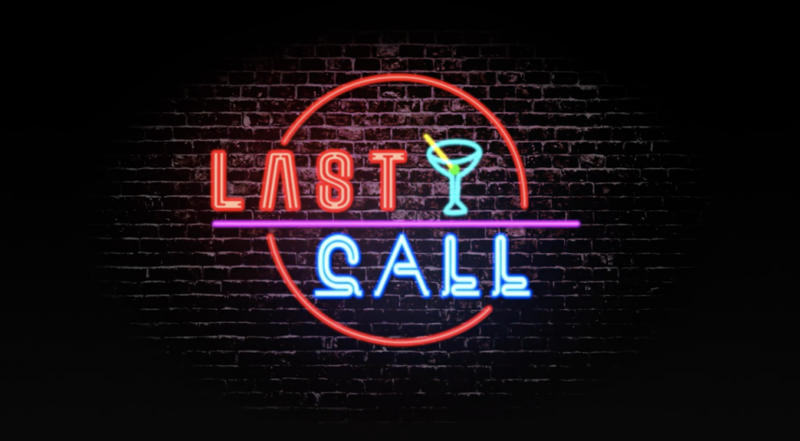 Last Call also features Tony Foresta from Municipal Waste, and more’s coming later this week from the magazine on what it’s all about. 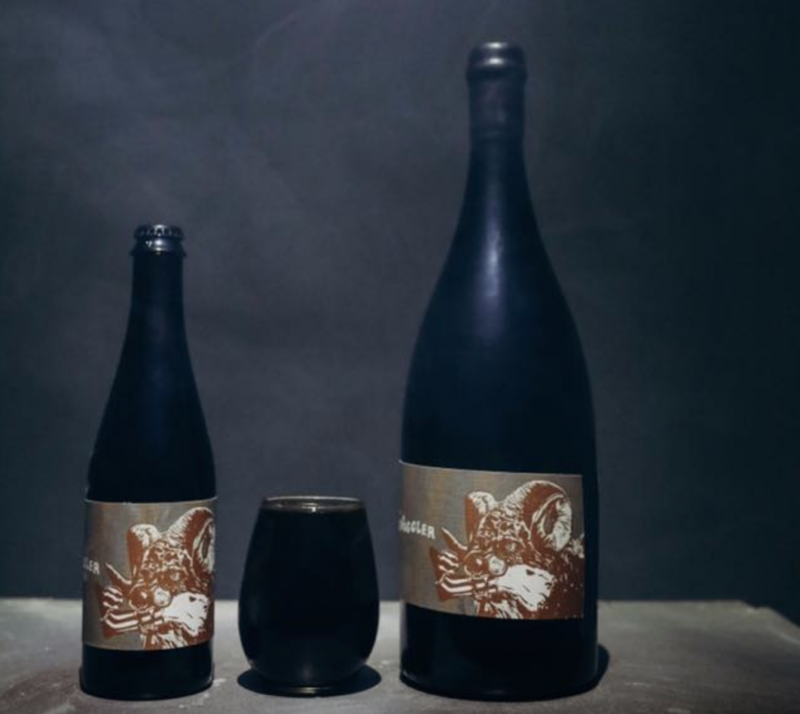 Also at The Answer this week, the brewery dropped Z-Ma. Leave your jolly ranchers at home, they say, and come give the frosty malt a try. Over the bridge at Legend Brewing Co., Legend Quad came out this weekend. The decade-old beer is still running, and came out back at Legend’s 15th birthday party. The Belgian ale is strong, dark, spicy and fruity with plums and figs. Its caramel and dark-sugar notes has a creamy body with warming alcohol and a deep garnet/mahogany hue. According to the brewers, it pairs well with hearty winter stews, smoked meats, rich desserts, or as a nightcap by a warm fire — and, like all beers, it’s best enjoyed with friends. Grab a few buds on our next chilly night (aka every night now), and tell us what you thought! Coming up this Saturday, Fine Creek Brewing is releasing their Dark Mid Ale and Thai Tea Milk Stout brews. Thai Tea definitely sounds like something you don’t see every day, with two pounds of raspberries added to its small cask. Dark Mid Ale is made with cardamom and orange peel, and it sounds perfect for this chilly weekend coming up: this medium-dark recipe is perfect to drink by the fire on a fall night, so give it a taste and don’t forget the s’mores. 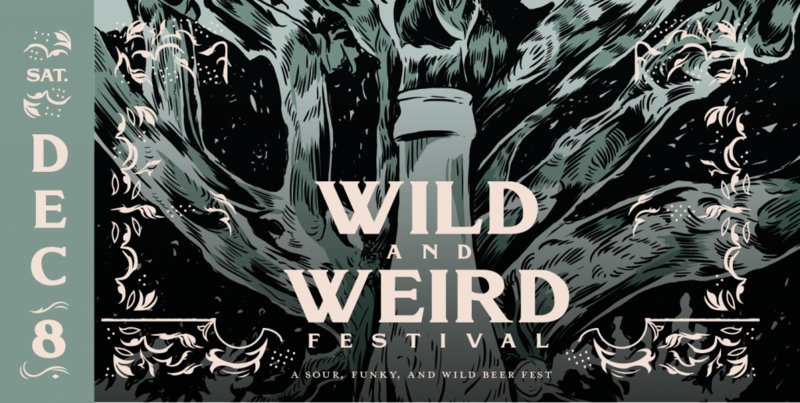 In December, Fine Creek is holding their Wild and Weird festival, which celebrates all the best unique beers and ciders out there from Virginia. Keep an eye out for more on that soon, and don’t forget to grab a ticket from the brewery. Calling all home brewers! 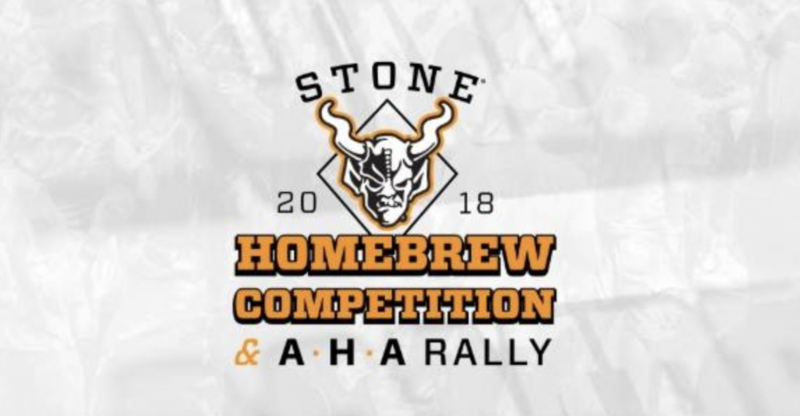 Stone Brewing’s Homebrew Competition and American Homebrewers Association (AHA) rally is coming up this Saturday. The People’s Choice-style competition gives attendees the opportunity to sample beers from dozens of homebrewers and vote on their favorites, according to Stone. Come out and give your booze a shot to be brewed in collaboration with Stone if you win, and be released across the whole country (all 50 states!) plus 40 other countries through their distribution network. It’ll also be entered into the Great American Beer Festival (GABF) competition next year, so this is a huge time to shine if you’re ready to go large with your recipes. Sign up here if you’re into it. Hardywood has another great stout release coming up this Saturday, and it sounds awesome. Rye Barrel Gingerbread Stout is coming out at Richmond, West Creek and Charlottesville. This variation of their Gingerbread Stout is matured in rye barrels, and these stouts are a mix of milk chocolate, vanilla, honeycomb, cinnamon and more with a velvety feel down the hatch. The release party is an all-day show at the downtown spot with Paint Fumes (NC), SICK BAGS (RVA), The Reputations (TX), and Cruzer (RVA) playing. Hardywood’s also got a Vegan Holiday Dinner Demo coming up on Sunday, with tons of ideas on vegan dishes for all the veggies in your life. Come out to learn good eats that the whole family can get behind, like vegan meatloaf and gravy, roasted garlic potato hash, lemoned green beans and dessert with SuhWeet Rootz. Next is Kakapo, the New Zealand Pilsner named for the large, green, nocturnal parrot native to the islands. It’s a “refreshing dry-hopped pilsner” with a light-hued body, made with three different New Zealand hops including Wakatu, Pacifica, and Green Bullet. Spectacular Optical is coming out too, and this New England IPA is soft, pillowy, and combines beer with tropical fruit smoothie. It sounds like a great escape from the cold weather, and it comes along with StarTropics, a Brut IPA that’s mildly bitter and bone dry with more tropical and citrus aromas. 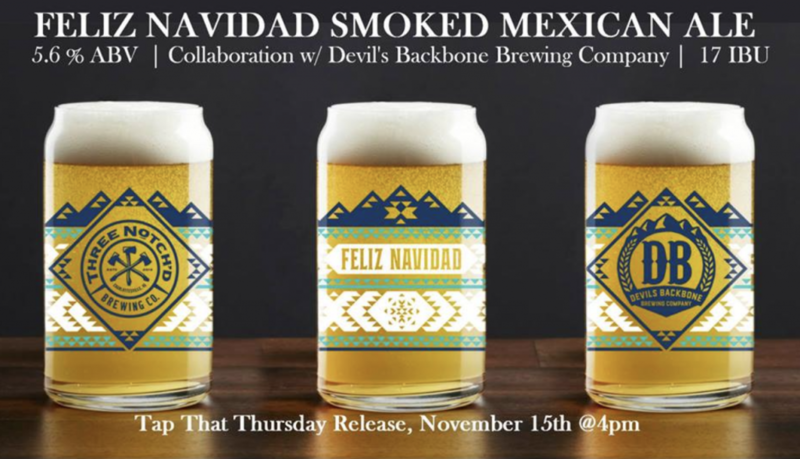 Three Notch’d RVA Collab House is ahead of the game this season with their Feliz Navidad Smoked Mexican Ale, collabed with Devil’s Backbone Brewing Company. It’s a pleasant surprise to me to see RVA breweries working with DB, because they were the first brewery to steal my heart back in my mountain days and will always be an age-old favorite for me. Feliz Navidad is a beechwood-smoked malt brew and a touch of lime zest, and the proceeds benefit FeedMore. All-around, this is definitely on my list to check out. 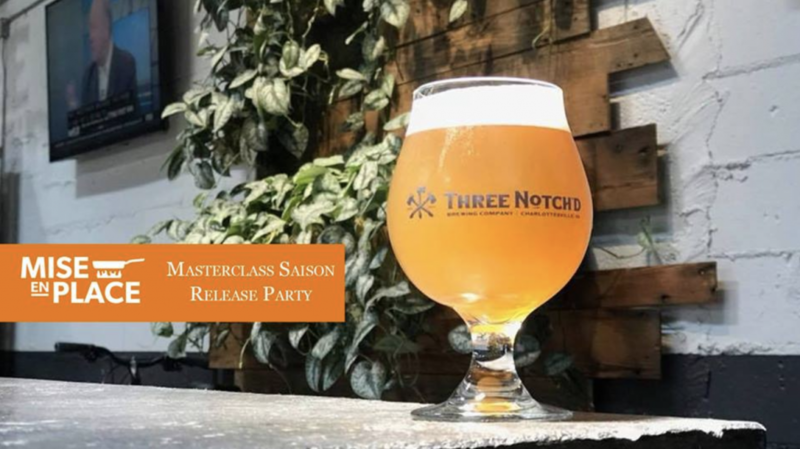 Three Notch’d also has Scott’s Addition Nights every Monday from now until December 17 in Richmond’s booziest neighborhood, so if you can’t catch them for the release, you can still check them out until the holidays. Do you know anybody who still says “groovy”? I do, and they’re my favorite. Head on over to Center of the Universe this Saturday for their Funk Fest Day 2, “taking it down to Funkytown” with a full lineup of 12 funky sours with live music as well. Mouth-watering Puerto Rican cuisine will be cooked up by Freekin’ Rican, and Scattered Smothered & Covered is coming to jam all evening. Mmmmm, just how I like my breakfast at Waffle House. On the lineup for sour brews: Sour Stouts — original, cherry, and chili (wow! ), Sour Saisons — with ginger or lavender. Then we’ve got a Rhubarb sour pale ale and a Pocahoptas, a sour red ale, a Bier de Garde, and……. “????? ?” A mystery beer! My favorite! COTU turns 6 this year, and the celebration is going on all weekend. Hit them up for one of many fancy brews, and drop me a line with your favorite! Yay, Friendsgiving is here! Thanksgiving is great, but there’s just something extra special about celebrating a regular holiday with a bunch of friends (probably because everyone gets to skip the family drama and actually have fun). Ardent is celebrating it right this year, with its 4th annual feast & food drive and food from Autumn Olive Farms, ZZQ, and side dishes and desserts from all around RVA. To reserve your plate at the table, just donate 15 food items at the taproom anytime between now and the start of Friendsgiving. All the food donated goes to Feed More, and tickets cost $15 if you don’t want to directly bring food to donate. 100 percent of the proceeds go back to hungry families, so all options are good options! Metalheads dissatisfied with mainstream Christmas carols can get into the holiday spirit this weekend and next at the 11th annual Punks for Presents concert, a series of shows around town featuring holiday-themed cover bands to benefit the Children’s Hospital of Richmond. It’s approaching that time of year where you actually look at that overwhelming Christmas list and decide it’s time to start crossing some things off. Before your lengthy list gives sends you into a frenzy, head over to Chop Suey Books’ 12th annual Bizarre Holiday Market to help you cross at least a few things off. Amid all of the holiday shopping, decorating and family gatherings, we can forget to stay in the holiday spirit. Stony Point Fashion Park is hoping to “break the ice” and get us back into the spirit with the grand opening of their new outdoor ice skating rink this weekend.